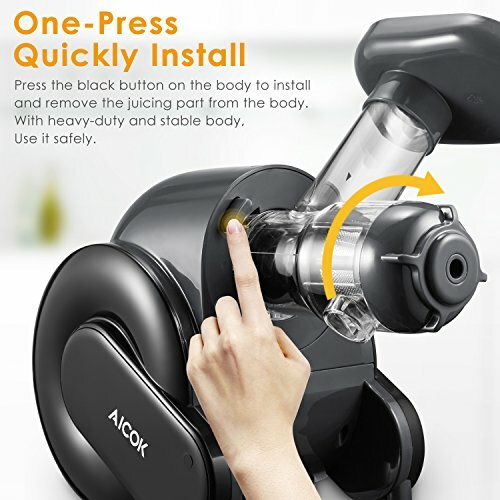 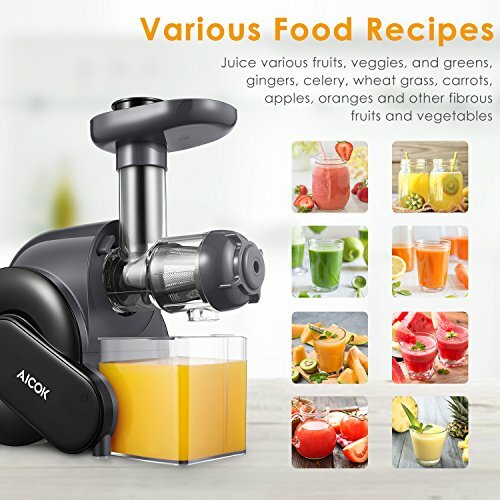 2, When too much fruit is put on the machine to stop running, at first, turn off the button and then press the reverse button.Multipurpose & Handy Operation – One-touch operation to extract all kinds of fruits and vegetables, such as ginger, wheatgrass, leafy greens, carrot, apples, etc. 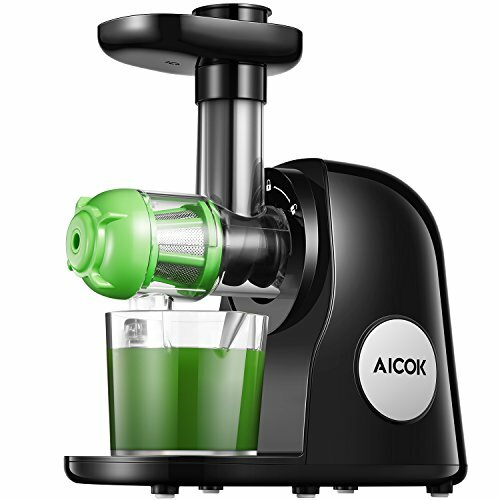 The juice machine which is easy to assemble, operate and clean, can fit your requirement of green health juice. 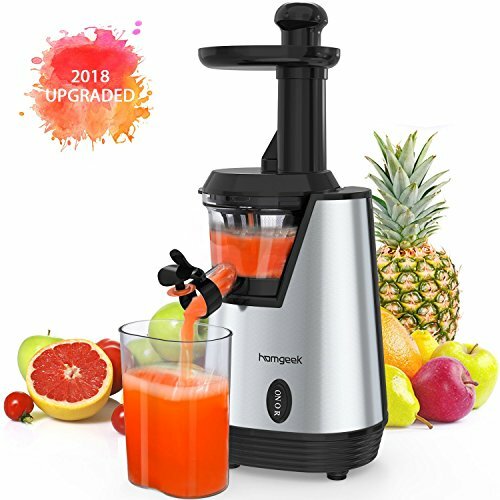 Easy to enjoy different flavor juices every day. 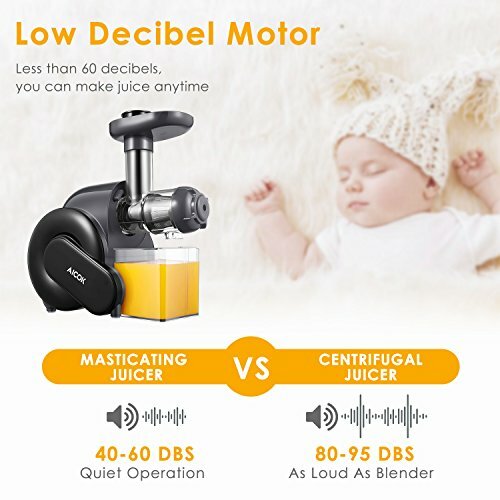 Higher & Purer Juice Yield – This 60db quiet & slower rpm process extracts the more juice from vegetables and fruits than centrifugal juicers, especially leafy greens. 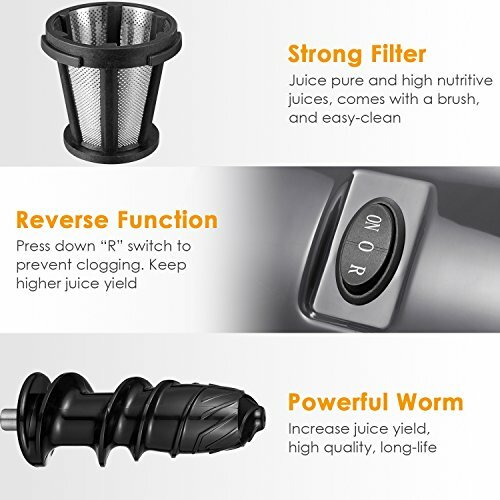 Strong filter and worm can help you make higher and purer juice. 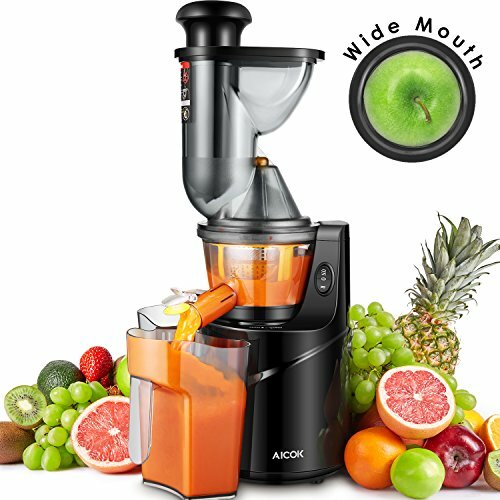 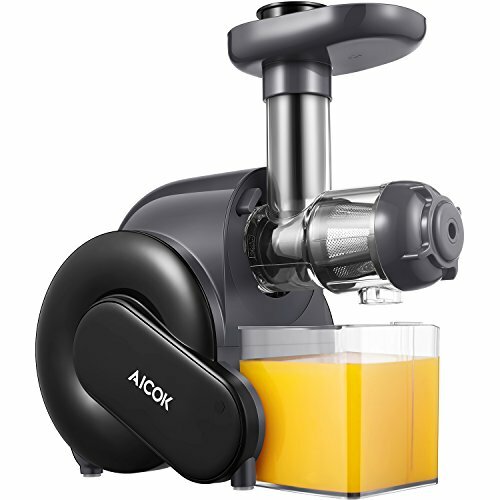 Higher & Fresher Nutritive Juices – Slow juicer uses a low rpm motor and fine grinding which best retains the nutritional value of your fruits, veggies, and greens, and decrease the top froth. 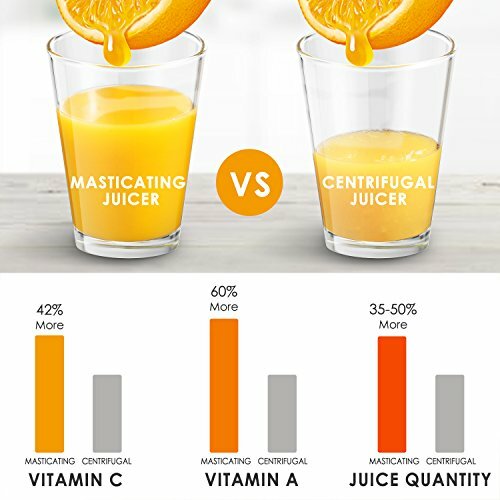 Less air being added during the juicing process also allows a longer shelf life before it needs to be consumed or stored. 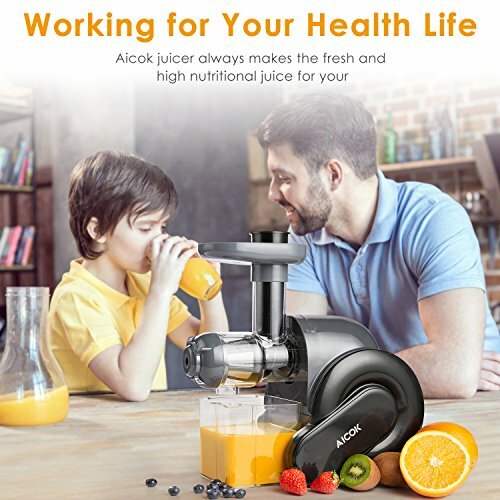 Safe Design – BPA free and food grade material materials; All copper DC motor with reverse protection; Safety lock design, only the machine is fully locked to work properly and safely. 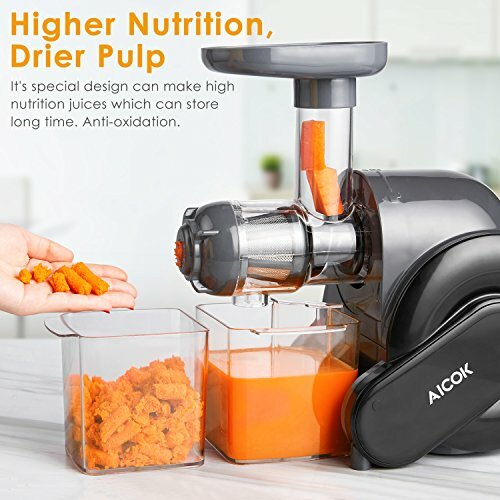 Standard feeding caliber, increased tray, safe for children using.